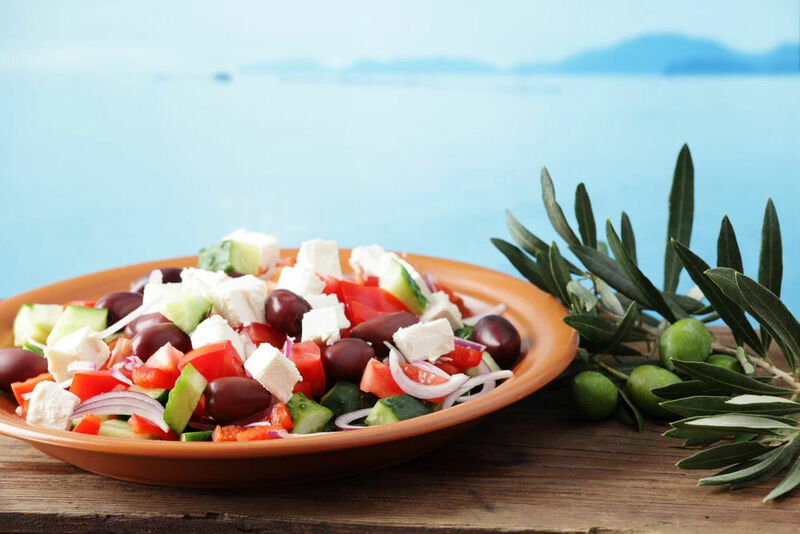 Greek salad, or horiatiki salata, is a rough country salad of juicy tomatoes, crisp cucumber, sliced red onion, green pepper, crumbly feta cheese and Amfissa olives. Greek salad can be served as a side dish or as a light meal with some bread. Cut the tomatoes into generously bite-sized chunks, Slice the onion as thinly as possible. Add the cucumber, green pepper, olives, feta. Add salt and oregano. Add only olive oil above all of the ingridiens.